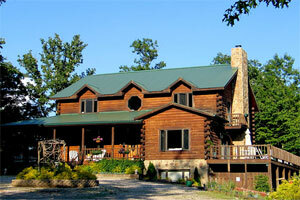 A Romantic Eastern Tennessee B&B above Watauga Lake within a day’s drive of one-half of the US Population. The Iron Mountain Inn B&B in Butler TN offers outstanding lodging accommodations for visitors from as far away as Thailand and Hawaii, and as close as North Carolina, Virginia and the other 48 states. This mountain getaway B&B is the perfect location for a romantic honeymoon, renewal of vows, or elopement, or just a chance to relax with the one you love. At 2600’ the B&B is just below the ridge of Iron Mountain and the mist from Watauga Lake can be seen in the early morning. Let the Inn provide their famous “Pampering Perfected” service whether you come for a night, a weekend or longer. 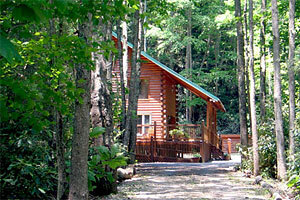 Come, share the magic of the Appalachian Mountains with us. GPS Inn: 36.3979° N 81.9978° W. GPS Driveway: 36.3922° N 81.9986° W.
Watch a Video of Innkeeper Vikki Woods Drive an ATV on Doe Mountain. 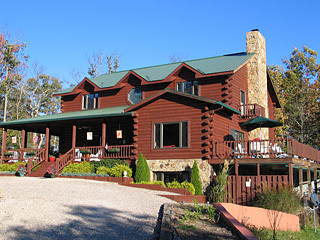 The Iron Mountain Inn B&B in Butler TN is located above beautiful Watauga Lake in the Tri-State area of Southwest Virginia, Northeast Tennessee and Northwest North Carolina. 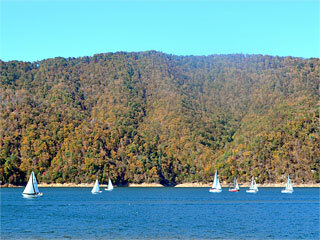 Our Southern Appalachian Mountain B&B in the Cherokee National Forest next to the Appalachian Trail provides many area outdoor activities, such as Biking on The Snake, Biking, Boating, ATV Riding on Doe Mountain, Hiking, NASCAR Racing, Waterskiing, Golfing, Whitewater Rafting, Hunting and Fly Fishing. 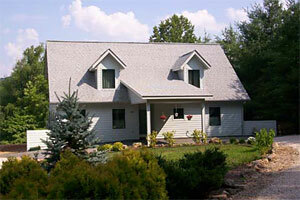 The Iron Mountain Inn B&B is centrally located to the towns of Mountain City TN and Damascus VA to the north, Bristol VA/TN, Johnson City TN and Elizabethton TN to the west and Blowing Rock NC, Banner Elk NC, Boone NC and The Blue Ridge Parkway to the east. Click HERE for Directions. 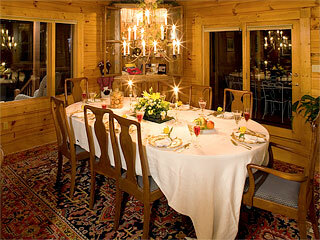 When the Iron Mountain Inn B&B, situated in the Appalachian High Country of the Cherokee National Forest, opened its four guest rooms in May 1998, little did the Innkeeper, Vikki Woods, realize how many strangers would soon become friends returning again and again for good food, good conversation and great memories. 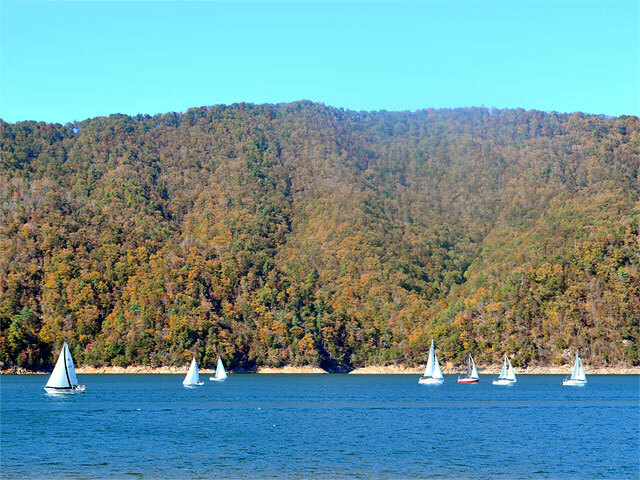 Hiking the Appalachian Trail, biking the Virginia Creeper Trail, enjoying Watauga Lake by boat, canoe or paddle board, enjoying a round of golf at Red Tail Mountain, or just rockin’ and relaxin’, do a little or do a lot – it’s your choice. Rainy day? Not a problem. The Iron Mountain Inn B&B offers a large selection of games from Monopoly to Settlers of Catan as well as dominos, backgammon, Parcheesi and games of chance! Even Lemme Sticks and jacks for those who can still get up and down from the floor! 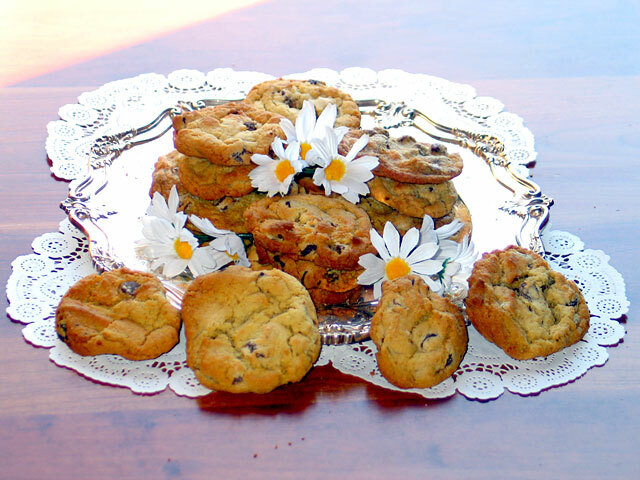 The Innkeeper will ply you with hot or cold refreshments and the bottomless cookie jar is always on hand. Now is a good time to discuss that “record” fish, or bear or turkey you caught while you were out fishing or hunting. 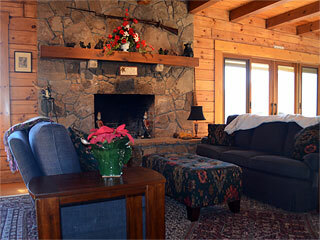 Perhaps you prefer a quiet relaxing time for your Northeastern Tennessee Mountain Vacation at The Iron Mountain Inn Bed and Breakfast. 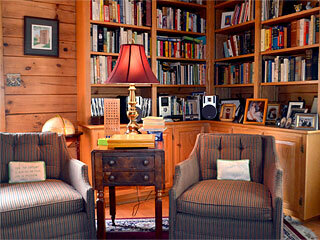 We have an extensive Library of Books on a wide variety of subjects. Some books are in our ‘Exchange Library’ where if you don’t finish the book during your stay at the Inn, you are welcome to take it along with you, and if you finished a book and don’t want to read it again, we’d be delighted to add it to our collection. 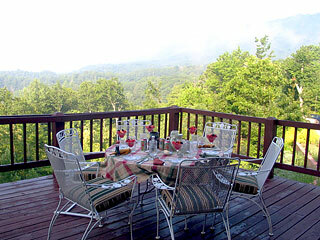 Three Dining Options - Formal dining room, Al Fresco in nice weather and View of the Mist. 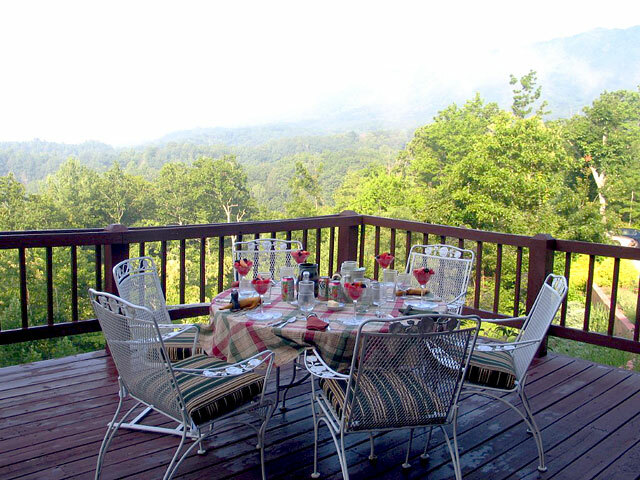 In nice weather, breakfast can be served on the back porch with a beautiful view of the Eastern Tennessee Blue Ridge Mountains. Click HERE for Events in Johnson County TN and the Surrounding Mountain Towns.